Lez's focus is to show people how, through changing their own behaviour and attitude towards their dog, their dogs behaviour and attitude towards them will change. This then starts the process of training a well mannered, obedient and respectful dog... by expecting your dog to be well behaved and then enforcing it positively and in a way your dog understands, you end up with a dog that is looking to for guidance and leadership. Well what can I say, we found Lez Graham to be a very knowledgeable behaviourist regarding the canine world and what makes them tick. She was so helpful also demonstrating techniques with my dog to show me what was required. Lez was very professional and spent 5 hours with us. A few days afterwards she will send to you a full and in depth report on the issues and resolutions which you can put in to practice and is always there to refer to. I would have no hesitation in recommending Lez to any future clients. I am so amazed my 10month old clumber spaniel has responded so well to Lez's training yesterday. I used to dread the start of each day owing to him being nothing short of a hooligan, since Lez left yesterday, he is a different dog. Cannot rate her highly enough. I had taken Harris to dog obedience since he was 12wks old and I was despairing that he would ever become an obedient loving family pet. Today I know he will. Thank you Lez, I'm even enjoying training my boy. I have trained with Lez for a little over two years with both my adult spaniels. I wish I had known her when they were puppies! I have attended many classes over the years and Lez is completely different -finally a trainer that teaches balanced dog training. Her classes are far more than just teaching your dog a set of commands as she has an incredible insight into the canine mind and therefore can address issues, rather than just repeating the exercise endlessly. Lez's teaching style revolves a lot around leadership and this has lead to having two relaxed, well behaved dogs at home, rather than a couple of fizzing balls of energy! In my very first lesson with Lez she taught me how to get my dog to walk on a loose lead...I had been pulled for four long years prior to this, whilst utilising all sorts of techniques and products from other trainers. Two years later I have two dogs that retrieve beautifully and we often get comments when walking about how well behaved they are. I would recommend Lez and her books to anyone with a dog of any age. It has been a pleasure to be in her classes. I was unable to train my working cocker as a puppy and only started training just under two years ago when she was 2 years old and I could not get her interested in retrieving. I approached Lez for help and enlisted in her fortnightly training class. Lez has a great understanding of how the canine mind works and is caring and patient with both dog and owner. The training lessons have been so successful and rewarding and I now have a well behaved dog with good home manners and an enthusiastic gun dog retrieving on her first shoots this year. It has also been great to see how the rest of the group have progressed and we have all succeeded in improving the handling of our dogs. Her books have been invaluable and are very useful to remind one of the techniques learnt. We shall miss her in Wiltshire. Lez is the most amazing trainer. I first went to train with her about eight years ago. We had a very strong, wilful Labrador - quite unlike the gentle Lab we had owned before - with fear aggression. Lez encouraged and taught us how to work with her to overcome a lot of these problems. When we got a working cocker spaniel puppy three years later, we enrolled in the basic manners training class. Initially I felt like we were training on quicksand with Twiggy taking time to grasp the concept of calm, heel, come and how to control her generally high octane behaviour. But we persevered and eventually progressed through the bronze, silver and gold classes - finally getting our Kennel Club Working Gun Dog Certificate. Lez is firm but kind with her training and even now when I call Twiggy, I can here Lez's voice saying, "Twiggy what?' - i.e. I hadn't actually given her a commend! I feel so strongly about the excellent, gentle, thorough way Lez trains that I now find it difficult not comment when I see other people being rough or shouty with their dogs. There is no need. Twiggy is now a joy to work - as a peg dog, a picker up and a beating dog. She works for either my husband or me and we have had so many compliments how, despite her obvious spaniel zest for life, she is is obedient and steady. She is also the most wonderful pet in our family. All in all, I cannot recommend Lez's training and books more highly and feel lucky to have trained with her for so long. Thank you Lez for being my mentor and guide. For the past year Coco (a black lab) and I have been to classes with Lez and we have both learnt a lot. We still have a lot to learn but I am hopeful we are getting there! Lez is firm, patient and incredibly kind to the dogs and learning with her is a great experience. I have known Lez for 13 years and first met when she came to me for her Labrador puppy Bart (one of the stars of her first book!!). I have watched her blossom in pet Gundog training, general dog training and behaviour work. Her common sense approach and realistic, sensitive techniques have served me well over the years. I have had numerous dogs over the last 25 years which are both pets and 'picking up' dogs during the shooting season and each one brings a new challenge - Lez has been an invaluable support and source of appropriate training suggestions when needed. It is extremely interesting now to see other professional trainers adopting some of her techniques. . I was recommended by a friend who had trained with Lez and having had a number of Labradors over the years I was keen to get off to a good start with my pup which I had bred myself and started training with Lez about 18 months ago. She is a working dog (at least I hope she will be) and having trained other dogs myself and been to other trainers I found Lez to be much more patient than the others taking her time to get to know both the dog and the handler and it is the handlers who need the help very often and not the dog as they have natural ability which just needs channelling in the right direction! This was certainly the case with me and whilst I was keen to get my dog into the shooting field I was running before I could walk and Lez persuaded me that I need to be more patient and hopefully I will have a much more rewarding relationship with my dog over the years to come. Lez has a deep understanding of the canine mind and takes her time which is so beneficial and I can thoroughly recommend anyone looking for a reliable trainer for both dog and handler. She will be missed in Wiltshire. I have trained with Lez for 3 years - in that time my working cocker Scrumpy and I have been expertly guided through all elements of gundog training in an inspirational way resulting in successfully passing the Kennel Club Working Gundog Certificate. Her move to Scotland is our loss "down south" and I would recommend her classes for the lessons learnt, friends made and happy dogs and owners in a heartbeat. The children having got older I was keen to have my dream dog an English Springer Spaniel, we got Woody at nine weeks old in February 2014. I had dog training books and felt ready. The reality was completely different, Woody was a bundle of endless nervous energy he never settled, wouldn't be cuddled and didn't comprehend instructions. I then made the mistake of walking him out early with other dogs so he learnt to pester other dogs, refuse to come back. At 14 months Woody was controlling, growled at us and making life at home unhappy. In March 2015 i contacted Lez who came out for a home visit to help with Woodys behaviour. In one morning we learnt so much and I can honestly say 90% of Woodys bad behaviour in the house was resolved that day. Lez gave us tools and confidence to make changes and we immediately had a happier dog and a calmer home life. I enlisted onto Lez's fortnightly gun dog training. I thoroughly enjoy these training sessions and so does Woody. We have come so far and Woody is now a much loved and valued family dog. The training is interesting and stimulating. I would say it is all about the work put in as well and sometimes consistency with my training has been an issue. With the support from these friendly small groups I know Woody and I will be great and it's never to late. I have known Lez for over nine years. During that time she has helped train me along with three of my cocker spaniels. All I can say is that with Lez's help, I now have the happiest and most contented cockers I have owned... and over the last 50+ past years I have been lucky enough to own a number of that breed. My present girl loves going to the training classes and was most indignant when earlier this year she had to stay at home to look after her litter of pups. She was even more indignant when the first girl I had trained with Lez took her place. After a 5 year sabbatical I was amazed how much she recalled from her earlier training. So much so she not only joined the Gold group, she took and gained her Gold certificate. Having a family who were becoming more interested in country sports I made a decision that it was the right time to acquire a gundog of our own, but as we lead a fairly nomadic life it would have to be a pet one. She arrived in mid Feb last year to a 72 hour power cut and not very well. But we tackled everything head on and now have a healthy happy 2 year old. She is extremely keen and I needed help in training her and being able to channel all her enthusiasm into what I want her to do rather than her own fun. My daughter bought the Pet Gundog book and started applying Lez's approach immediately. The next step was to join some formal and structured classes. I approached Lez to join her pet gundog classes last year and we started in January, with her excellent books and DVDs to refer back to out of lessons. I have gained a large amount of knowledge from Lez. She really knows how to get into a dog's head and after one or two adventures - sorted out with Lez's advice and an incredible one on one season, we are settling into a good training routine. The main problem is that my dog instinctively knows what to do but the handler (me) often doesn't. With Lez's help I am learning to be more on the ball and focus on my dog and make sure she is focused on me. We are very much a work in progress but with Lez's knowledge - and humour - I am learning how to use my dog's enthusiasm to train her to be a well mannered and happy dog. My little cocker spaniel and I started training with "The Pet Gundog Puppy" book, written by Lez Graham. We then went on to attend training classes with Lez and used techniques from her other books "The Pet Gundog" and "The Advanced Pet Gundog". The techniques used have resulted in an obedient, trustworthy and hard working gundog, who has great sparkle and utter joy for hunting; just what I wanted. He is also a loving family pet who is a pleasure to share the house with. He uses the skills learnt during training to excellent effect both on and off the field. I would thoroughly recommend this method of training and will use it again; if I am lucky enough to have another gun dog puppy. Because of Lez, I am proud to say "I have a pet gundog". I was in despair after getting my rescue dog Oscar from the Dog's Trust. Two dog trainers told me that they couldn't help with his fear aggression, unruly behaviour and many issues..........then I found Lez Graham. After a couple of "one on ones" Lez was quite rightly apprehensive about including Oscar into her training classes - he would go for any other dog's jugular! But she thought though borderline we could have a go. We attended her classes where we were all given weekly tasks to work on with our dogs, backed up with explicit paperwork which included masses of useful information. Every week we returned and Oscar improved amazingly quickly - I put the work in as directed, you could see which owners hadn't bothered as there was no change in their dogs! I learnt so much and I now have a dog who can be taken into any situation, is social and very chilled - a delight and adored pet. It had become so difficult with him that I had started to look at other dogs and was planning to return him to the Dog's Trust - so glad I didn't and persevered. Recently I have got a puppy for the first time and found Lez's book on puppy training (including a DVD) indispensable. I cannot thank her enough for her thorough and individual directions. I now have two chilled, happy, social dogs and the puppy has given my older dog a new youthfulness in his stride as they play happily together. 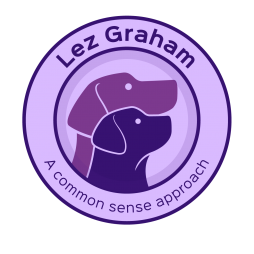 I cannot recommend Lez Graham highly enough - she is thorough, caring and being a dog behaviourist as well as trainer has an incredible understanding of dogs. Our 5th labrador bred from shooting parents, has benefited from Lezs lessons from the puppy stage to the present, now he is 4 years old. From a nervous, complicated and very strong dog,he has developed into an obedient and willing dog without loosing any of his character. Failing these lessons, we would have a handful of dog on our hands. Lez brings out the best in the dogs in her groups, but also the handlers, giving them the confidence and knowledge how to train , but keeping the sessions lighthearted, good for handlers and dogs. Would always recommend either lessons with Lez or her books. I have been to a number of dog training classes over the years and our eldest Springer has been the guinea pig for numerous different techniques. This has resulted in a lively, cheeky and reasonably obedient dog - but one who at the end of the day has always considered herself "the boss" and who, when we go out beating, is self-employed as opposed to employed! Needless to say the cries of "whose spaniel is that?" is often ringing in my ears! I have made numerous mistakes with her and upon acquiring a second Springer Spaniel I was anxious not to make the same mistakes - and more importantly to understand where I was going wrong. Thankfully we came across Lez and initially went along on one of her Training Days - what an eye opener!! Lez has such an in-depth knowledge of the dog - its pack animal and predatory nature - that she can get owners to see and appreciate things from the dogs perspective. 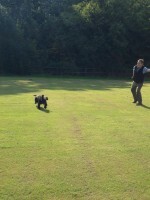 The slightest change in the owners body movement and signals makes a huge difference to how the dog reacts. At both the Training Days and the classes (which we have joined) you see an improvement not just with your own dog and how you interact with it - but everyone also learns from everyone else and the different mistakes we all make on a daily basis with our dogs. 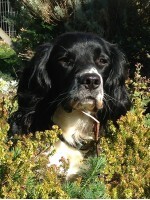 My youngest Spaniel now watches me intently, is focussed and is "employed"! The saying that you can't teach an old dog new tricks is also blown out of the water as the oldest one is now significantly better on the basis that I now employ Lez's techniques on her as well. The Training Days, classes, books and DVDs are brilliant and I seriously believe that every one who acquires a dog should be given a copy of Lez's book to help them understand the creature they are living with. Lez's techniques are sensible and kind - there is no bellowing at dogs, picking them up by their ears or kicking them - all things that I have seen other gundog trainers do. The dogs who go to Lez's days and classes know who is the boss without being beaten into submission. My dogs are first and foremost pets but the nature of the breed means that they need to have their minds exercised, not just their bodies. In Lez's classes you learn that the dog does not need a 6 hour walk - just 20mins of exercising the brain will tire them out. And Lez gives you the tools to do this. My dogs are well mannered, well behaved and a joy to take out. People often comment on how well behaved they are - I can even go beating now and the beat captain comments on how good they are (yes, even the oldest one!). We approached Lez when we moved to Wiltshire, and asked her to assess Monty's behaviour. Most of the time he is a lovely dog to have around, he is happy natured and a key part of the family. However at certain times he became over excited, pacing around and barking, this was usually as the family were up to something like going to school or meal times. He was also very excitable and noisy when we had visitors, known to us or not, he seemed to think it was his job to bolt through the door and leap all over the person on the other side, which was a problem. There were a few other things as well (like pulling on the lead etc) all of which he displayed beautifully upon Lez's visit! Lez was able to quickly spot the behavioural traits , talk them through with us (why he was doing what he was) and not only offer easy to implement strategies but also to demonstrate effectively how they might work. We have implemented all the steps and it is fair to say that Monty is a much more balanced dog today. He still loves to chase a shadow and to greet visitors but we know how best to handle him when he does. We have a long way to go before he is perfect, but don't we all!!! Having taken ownership of an 8 month old working English Springer, it soon became obvious that he was going to be a challenge and I needed help! After an initial telephone conversation with Lez, I decided that I would take up Training for Life with Lez to save my sanity! Having now trained with Lez for over 2 years, I can honestly say the fun and joy I get out of owning Hunter is all down to Lez. She explains the training required in such a way that you see results almost immediately. Both you as a Handler and your dog can progress and grow in confidence. Not only does Trained for Life give you a good working dog but it also gives you a generally well behaved, good mannered pet. The feeling you get when a stranger comes up to you and says "what a fantastic, well-trained dog you have" makes the commitment all worthwhile. Whether you want a well rounded gundog or just a wonderfully well trained pet, I can honestly recommend Lez Graham, Trained for Life. She puts the fun into owning a dog! I have had golden retrievers for almost 30 years and have always been interested in training one to work but never quite managed it. A few years ago I got Dudley. He's a great dog and well trained but just would not retrieve so I tried a well known gundog club. For Duds's very first retrieve in the "puppy" class he was supposed to bring the dummy back with dogs and handlers on either side of us. Obviously he failed. I was advised to try a 1-1 with a "trainer" who worked golden retrievers. The first session undid all my hard work and Duds would not even recall. At the end of the second session an electric collar was suggested. That was the end of that. A year later I got Charlie who is Duds half brother. Charlie's Dad regularly goes picking up and I could see that Charlie had the same drive and so I tried training him myself and made very slow progress. Then I was fortunate enough to read a review of Lez's book, The Pet Gundog. It's a fabulous book and very much a practical common sense way of dog training. Everything I read seemed so simple to put into practice but also very effective. I then contacted Lez and took Charlie (still a bouncy but lovely loon) to one of Lez's training days back in February. I subsequently did all the other training days and completed the last yesterday with Charlie picking up cold game in the middle of the forest. Our progress just amazes me. If someone had told me in February what we would have been doing yesterday I would have thought they were mad and yet I am about to plan our first day picking up. Lez's methods are straight forward and effective but, importantly, there is no harsh handling or trying to yank the dogs head off to get it to walk to heel. 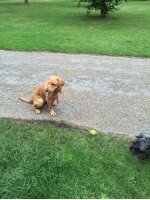 Lez encourages dog and handler to work together in a way which both enjoy. I would strongly recommend anyone to go to Lez for help to train their gundog, or any dog for that matter. Lez also understands the way dogs think and can provide useful advice to deal with a number of doggy problems. I'm now training my fourth dog using Lez's methods, and have well thumbed editions of all her books, together with the DVDs which complement the books perfectly. 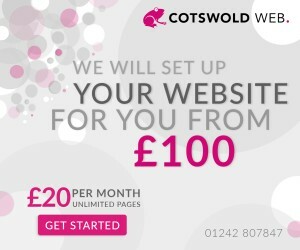 No matter how you prefer to learn Lez offers a format to appeal to everyone. She takes you carefully through each development stage offering advice not only on how to implement the training but also what to do when things don't go to plan. Her training classes, and intensive day's are friendly and relaxed, ensuring that both the dogs and handlers get the most of out of the sessions. I've made many friends over the years of people who return with new dogs, and who like me find there is always something new to add to our repertoire. I can't recommend Trained for Life highly enough - Lez has literally taught me all I know about training my dogs. Please, PLEASE go to Lez if you have got a new dog, or would like to know more about your dog, or if you have any problems at all with your dog. 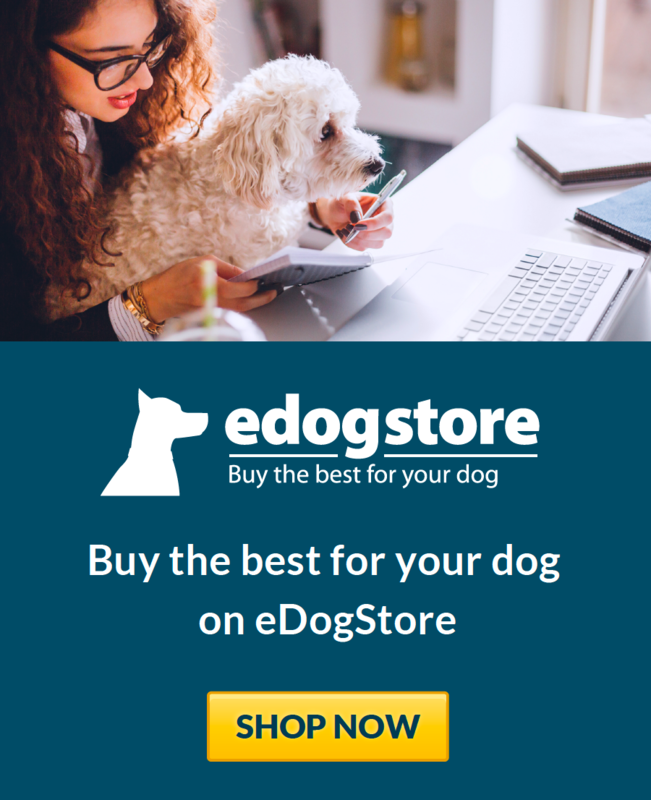 We all know that any difficulty we have is because we ourselves are missing something but Lez explains everything in such a clear and straightforward way, and will give you strategies to correct it, that it really will have an immediate effect on your dog's behaviour. We first met Lez in 2011, when we bought our working cocker spaniel. We had never had a dog before so we had a lot to learn! I have attended many of Lez's gundog training classes (bronze, silver and gold). I have read her Pet Gundog books, (which include DVDs) and have recommended her books and classes to friends. There is nothing that Lez doesn't know about dogs and I love her non aggressive approach to training. We no longer go to classes, but we continue to apply what we have learnt and our dog is well mannered, well behaved and has excellent recall. Lez is the most amazing trainer; she understands why dogs do what they do and applies that knowledge to get the best out of the dog and their owner. I have learnt that if my dog misbehaves, that it is usually due to something that I am doing (or not doing). We are currently thinking about getting another dog and if we do , I will certainly return to Lez's classes and reread her books. I recommend Lez Graham, Trained for Life, to anyone who owns a dog. No matter how much you think you already know, Lez will teach you more! My wife and I have now trained two working cockers with Lez Graham at Trained For Life, one each. We have attended both regular classes and many of Lez's fantastic whole day training events. Much of the training is outlined in her fantastic books (all supported by videos), The Pet Gundog series, starting with The Pet Gundog Puppy, moving on to The Pet Gundog and finally The Advanced Pet Gundog. However what you cannot gain from any book is the in-depth knowledge and explanation of "the why" and "the how" which Lez brings to every class, explaining why your dog has done such and such etc. and how to fix the problem. If you really want to train your dog to be a wonderful pet for most of the year and the also your pride and joy out in the field then I strongly recommend joining one of the regular classes up at Marlborough Cricket Ground. If you have less time and cannot make every two weeks - then I would recommend attending some of Lez's whole days - these are really intensive covering a lot of techniques and exercises, but fantastic fun. Each day brings in a new set of retrieves and skills, so that you really learn how to direct your dog when working in the field and at distance! The whole days also make great presents for the "other half". I joined one of these as a present from my wife so that I could learn the techniques and skills used in the regular classes. I learn something new and fascinating every time I go - my dog of course already knows most of it and how to do it - it is just the owner that needs help!